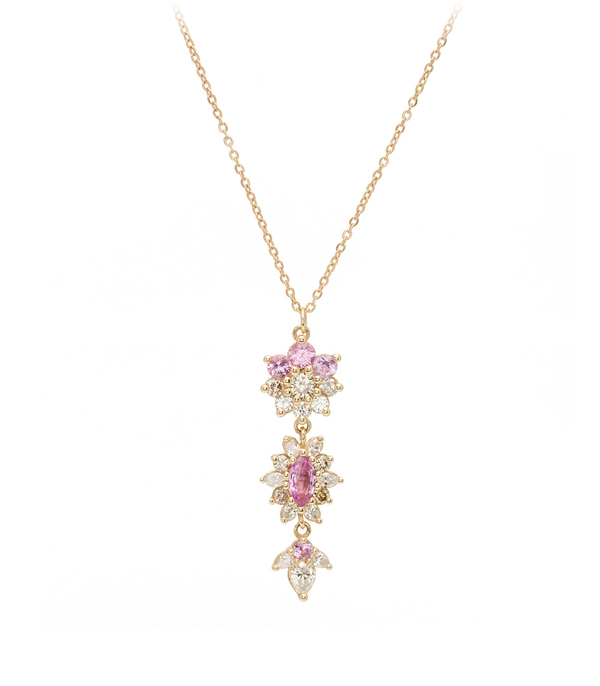 Inspired by the Georgian Giardinetti style, meaning "little garden", our delightful pink sapphire and diamond set drop necklace adds a colorful and vintage-influenced touch to any outfit. Giardinetti rings and brooches designed as bouquets or pots of flowers were first made in Italy in the late 17th century. They were symbols of love and given as love tokens between couples or friends. Their symbolism was not mysterious, but more like a bouquet of flowers given to someone much admired. Giardinetti designs continued as popular motifs in Victorian jewelry. 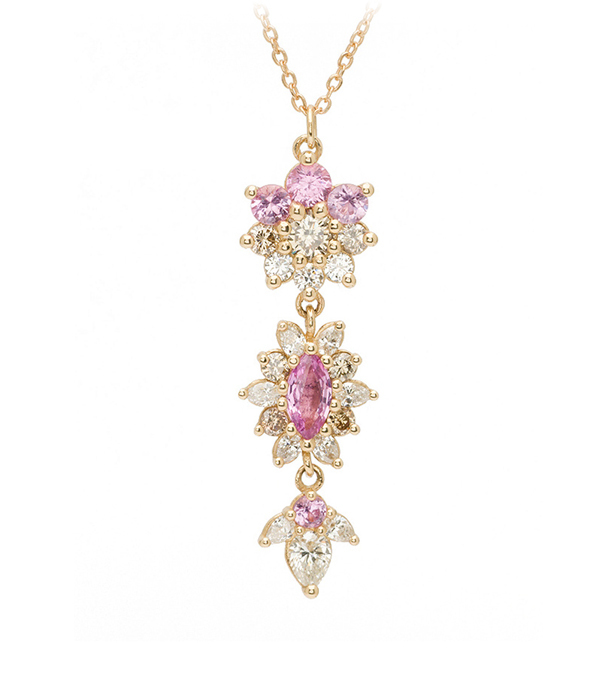 Our flower cluster drop necklace features a blush palette of pink sapphires, champagne and colorless diamond accents. Crafted in 14K gold, this unique necklace makes the perfect colorful piece to be dressed up into a beautiful evening ensemble or down with your favorite pair of indigo denim, for the ultra chic!